Join the growing list of small businesses who are moving to the cloud faster and more efficient than ever before. With the myhosting Direct Marketplace you get the software you want, without having to manage it yourself. 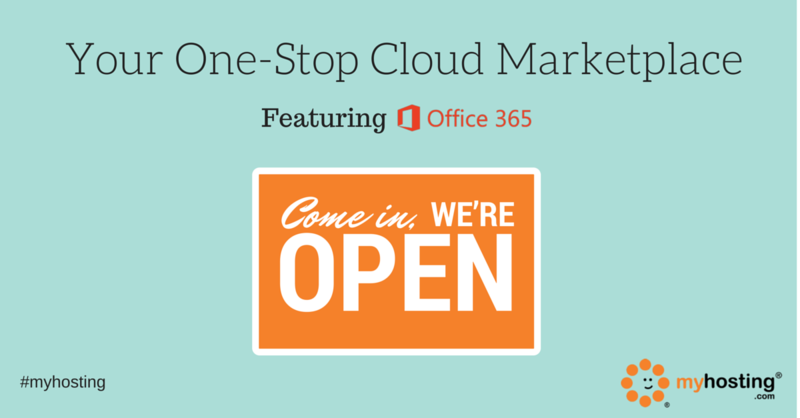 Sign up right now to start your journey towards becoming more productive with Office 365. The myhosting team is ready to tell you all about our one-stop solution created specifically for small business. We remove the technology from the mix, so you and your team can communicate and collaborate faster and easier. Domains, web hosting and business software, all under one roof. Plus free email migration and 24/7 support. Prefer DIY? We have made it easy to pick a plan and go.